Turkish president Recep Tayyip Erdogan has not only used footage taken by Friday's lone gunman as part of his campaign, but also criticised the Anzacs for their role in Gallipoli and threatened to send New Zealanders and Australians who came to his country with anti-Islam sentiment, back in a casket. Mr Erdogan later wrote an open letter to Prime Minister Jacinda Ardern, praising her leadership. Prince El Hassan Bin Talal of the Hashemite Kingdom of Jordan, who's in New Zealand and plans to visit Christchurch tomorrow, has made it clear that populism and extremism are not characteristic of this country. "I think that that should shine through," he told RNZ. "I hope you will not be caught in a trap of the war of words, that is a war of polarity and of hatred. I hope you will live up always to conviviality, of compassion and of respect to the other." Prince Hassan said in Jordan they commemorated Anzac Day victims and also commemorated the Turkish soldiers fallen. "And, so in the spirit of Gallipoli we shall continue to do that. And I don't want to say anything more about current politics." The prince praised New Zealand for its response to the terror that struck it last Friday. "It is simply impossible not to take heed of the goodness, of the kotahitanga, of New Zealanders," he said. "And I think that a world at war with itself can only find serenity in the example of the compassion and the love that New Zealanders have shown." He said in Jordan there was a feeling of "dullness and anguish" that even in a country so far away, in a beautiful paradise that many escaping wars and strife in their home countries are now blessed to call home, that evil should be purveyed. "It was a feeling again of anger, that once again core believers should be targeted," the Prince said. "It was a very mature reaction, but a very sad one, particularly for the families of the bereaved who've flown out." 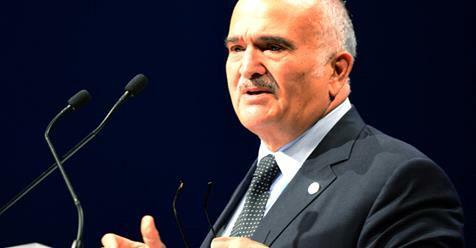 On the changes to gun laws announced by the prime minister yesterday, Prince Hassan said New Zealand has a voice, which he predicts could find solidarity with many other countries and peoples. He hopes an opportunity like this one will not be wasted. "Bigger, stronger, weaker, poorer - it doesn't matter. The main thing is to work on the right to respect, as we once worked on the right to protect."